One of our latest finds comes from the SAFEGO brand, introducing their portable travel safe for confidence in storing your valuables off your person—handy at places like the beach, the park, the gym, and the poolside. 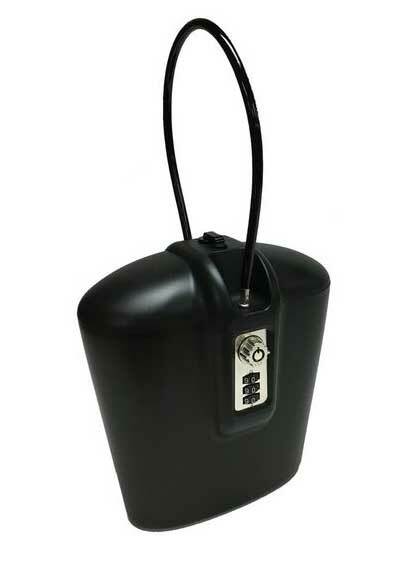 The SAFEGO Safe will hold onto your belongings pretty much anywhere you need it to and it’s specially designed for theft prevention so you can put your worries of leaving your valuables to rest. It’s typical for beach-goers to throw their valuables inside their shoes or to stuff their wallets and other pocket items into their rolled-up shirt. Unfortunately, many an item has gone missing in scenarios just like these. This was the case for Zach Perlman, the founder of SAFEGO, who one day returned to his beach towel after a 15-minute swim to discover his wallet, keys, and phone were gone. An unfortunate discovery for Zach, this was the moment, however, that inspired the invention of SAFEGO and the Portable Travel Safe. This sturdy accessory for safekeeping at summer camp is made from lightweight, durable, and water/sand-resistant, high-impact plastic. The lock hardware on the safe is rust-resistant, nickel plated zinc alloy, made to handle any outdoor conditions. It’s got a heavy-duty, plastic-coated steel cable made from material similar to a bike lock that easily attaches to a beach chair, table leg, park bench, or pretty much any fixed object. Keep your keys, cash, wallet, camera, sunglasses, jewelry, or any other belongings you have along at camp safely stored away no matter where you go with SAFEGO’s brilliant Portable Travel Safe. You can check it out right here on our website and, as always, thanks for reading!